She Animates is a blog run by Matt and Kate. 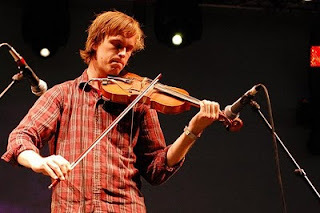 Check out this lovely stop motion animation they have made inspired by the music of Portland/Copenhagen based multi instrumentalist, Peter Broderick. After they got in contact with Peter, he agreed to write the soundtrack for 'A year is round' - what a nice guy! Read the full story on their blog here and check out Peter Broderick's Flickr account here - this is where I first saw the video. Peter lives an enviably interesting, creative life and updates his Flickr photo stream fairly regularly with photos and mp3's from projects he's working on. a year is round from she animates on Vimeo. Good luck to She Animates, I hope they make lots more stop motion animations.